Don't assume your invention invention applies to everyone. Target an identified segment. Write a Business Plan. It's a good learning exercise and angel investors and lenders often require it before they offer seed capital or loans. Develop a prototype. This can be an important marketing tool when meeting potential distributors or partners. At the end of the day, they invest in products, not ideas. Attend trade shows, these are excellent places to showcase your patented invention and meet industry contacts. Patents are expensive to file, and over 90% of issued patents do not generate money. By understanding marketing you can give your ideas better chances of being profitable. Marketing creates value in the consumer's mind. Value. What pain does your invention relieve? Why hasn't the market relieved it already? What value does your invention provide that will entice people to trade their dollars for it? Example: The Bionic WrenchTM, was protected with U.S. Patent 6,889,579. This successful product created value. 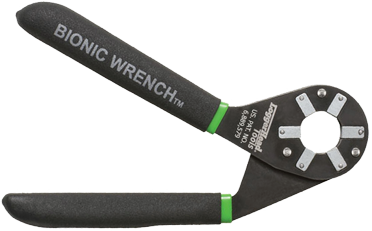 Wrenchers now only have to buy one or two wrenches instead of a set. Consumers.Who is the target customer who will trade dollars for your invention? Geography - based on a location, e.g. zip codes. Demographics - based on measurable statistics, e.g. occupation, age or income. Psychographics - based on lifestyle preferences, e.g. urban dwellers, sports enthusiasts, or pet owners.